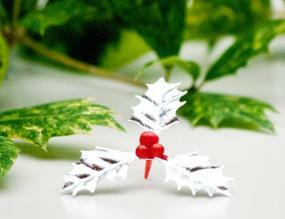 Metallic silver holly Christmas cake decoration. This smart silver cake decoration is from Anniversary House and it measures 5.7cm across maximum. Very good product many thanks.